There is no question, simple and natural is timelessly classic. 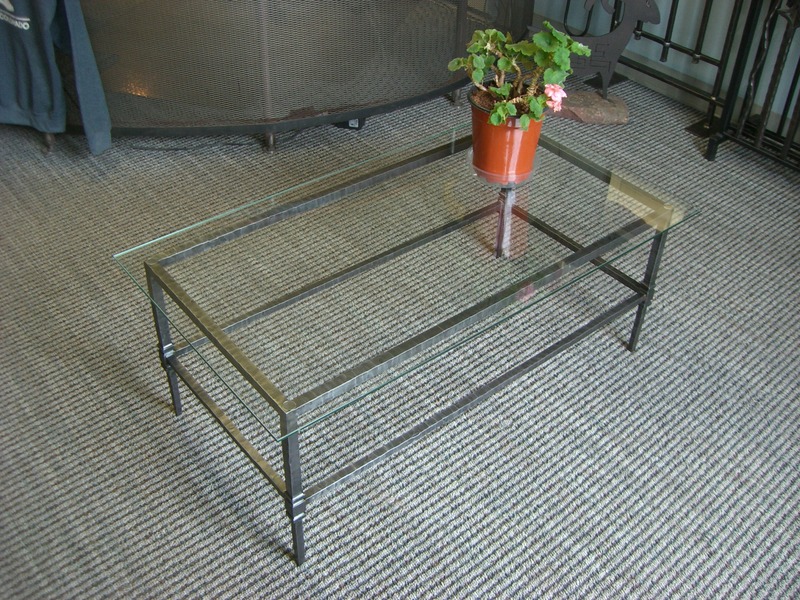 This coffee table base made out of square bar has been hand forged and left clear to the eye, and the glass top hides nothing. This piece of functional art can be made square or round as well.